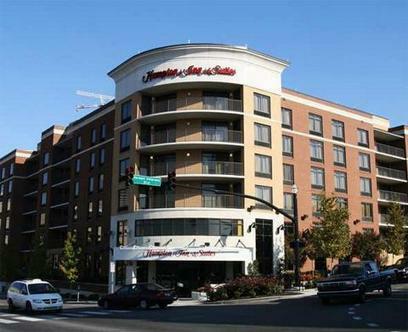 The Hampton Inn & Suites Nashville Downtown is located in the exciting and revitalized Historic So-Bro District. The Hampton Inn & Suites Downtown is a 154 room and 6-story property, featuring red brick with limestone exterior. Our interior is contemporary boutique style decor with rightly appointed walnut wood, glass ceramics, quarry and mosaic tile floors.The rooms feature king beds or double queen beds with a 32-inch flat panel TV, iron, ironing board, coffee maker, hair dryer, complimentary High Speed Internet Access, voice mail and two-line phone.